Ideal bulbs to provide an infrared basking heat source for use day or night. 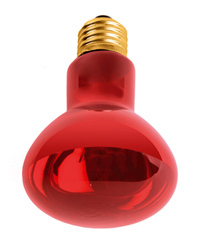 Komodo Nocturnal Red Bulbs are made with an advanced red glass making them ideal for nocturnal use. Great bulb at a good price. I have used these in both of my vivariums and they have been great. Would buy again. This blew really quickly compared to other brands I have used.